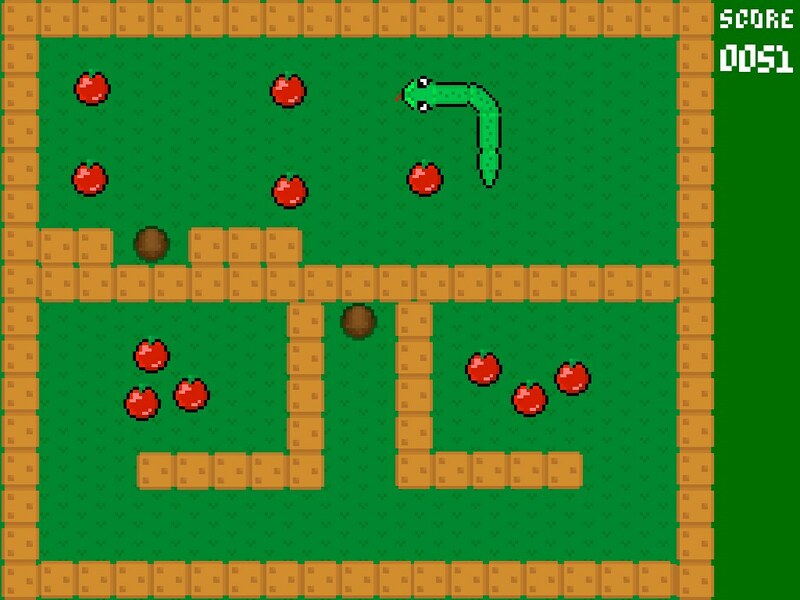 Simply copy a level template (7 included) and drag in apples, auto spawning apples, walls, poison frogs and portals where you want them. You can make the levels as easy or difficult as you want. All art is included, if you want you can make your own and replace it. There are notes with explanations and almost every rule and attribute has an explanation. Nothing stands in your way to be a game developer anymore! Build, test and sell! The snakes speed is adjustable. 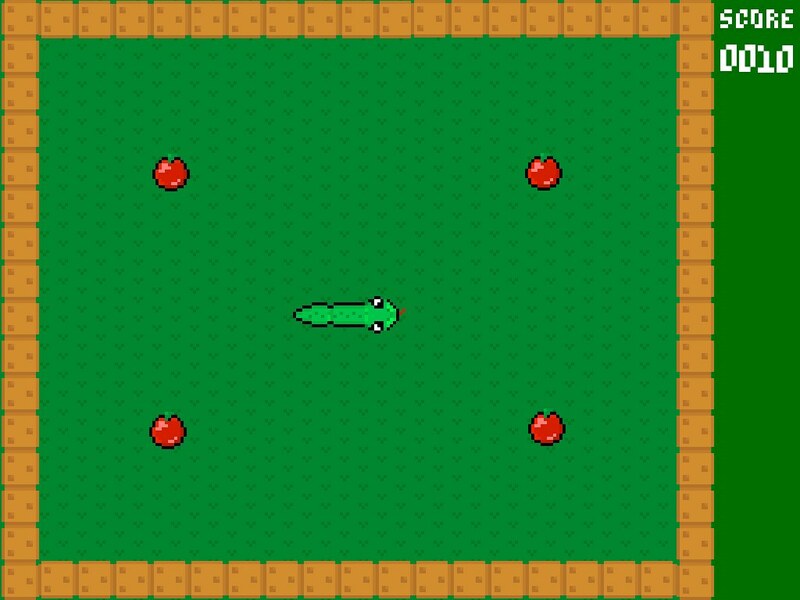 You can have the snake move slow, medium and fast with the speedo button. Replay levels you have played before in the level picker. 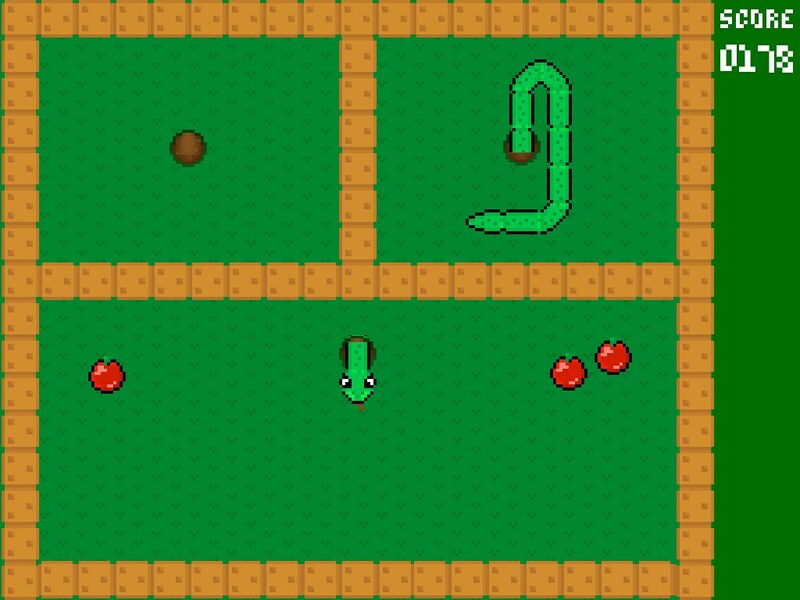 Pause the game by holding the snake. In-game High scores are saved automatically. Tagged on: 8bit-art All Templates arcade conga line congaline game developer game salad game template gamesalad gaming indy game developer ios game Kids Games old school original art polonaise portal Puzzle. 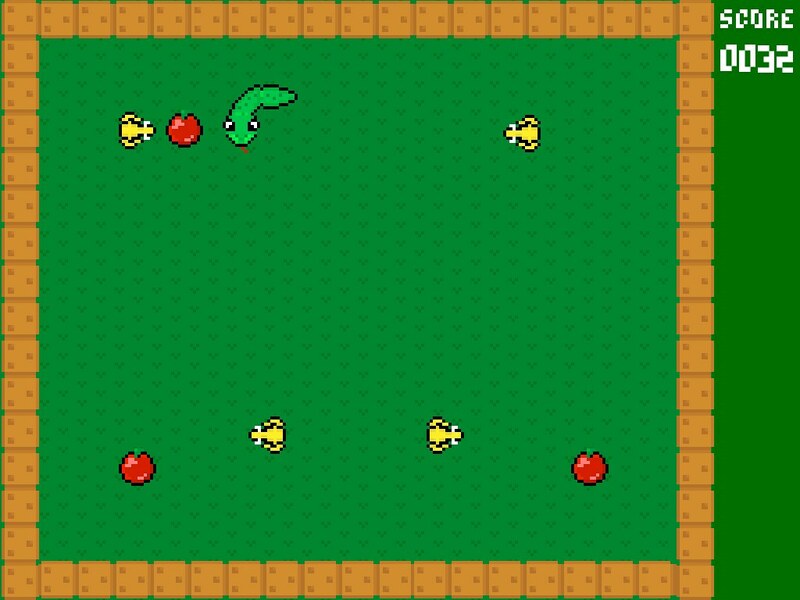 Tags: 8bit snake strategy template video game.